The Nordic Film Festival returns to London this December before going on tour to venues across the UK. NFF 2015 brings together a programme of features, docs & shorts, celebrating filmmaking talent across all genres from the Nordic region. This year’s festival has a strong Danish theme, celebrating 20 years since the birth of film movement Dogme95. As an ode to its global legacy, Nordic Film Festival will provide the platform for the launch of a year-­long retrospective. The programme also has a documentary focus which includes films on a range of themes – including human rights, extreme adventure, music and indigenous cinema with films from the Sami community and Greenland. 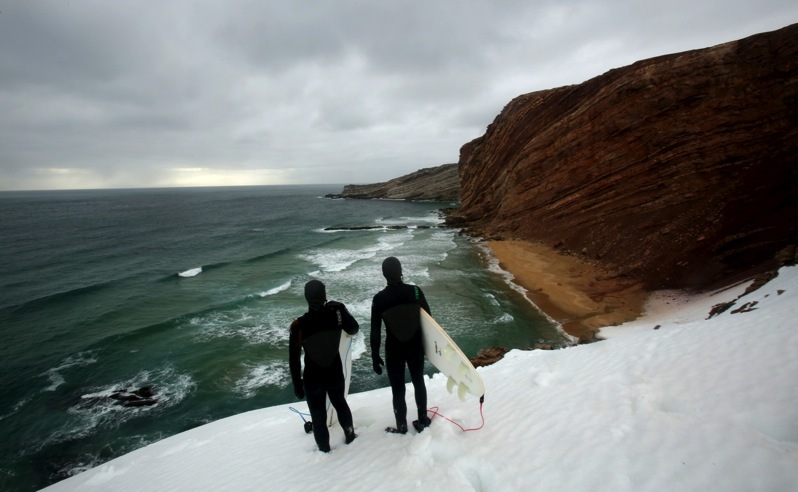 This year’s festival welcomes back Norwegian thrill-­seeking adventure filmmaker Inge Wegge with his second feature BEAR ISLAND about his quest to surf waves that have never been surfed before in Norway’s far north. Swedish filmmaker Mia Engberg also makes a return to NFF with her feature doc 165 HASSELBY which offers an intimate portrait of youth in high-­rise suburban Stockholm. Other docs include Michael Madsen’s first contact imagining THE VISIT: AN ALIEN ENCOUNTER and Icelandic montage of travelling circuses from the 19th century scored by members of Sigur Ros, THE SHOW OF SHOWS. The season will begin with a special free event in homage to Danish cinema at Birkbeck Cinema. The evening will begin with a screening of the short film NYLON produced with the support of the Danish Film Institute’s talent development scheme, New Danish Screen, followed by the first Dogme film, Thomas Vinterberg’s contemporary classic, FESTEN. The evening will conclude with a talk on Danish cinema by Dr Claire Thomson (UCL Scandinavian Studies).Ticketholders for all festival events are invited to Scandi Sip & Shop in partnership with Skandium at the Republic of Fritz Hansen store on Margaret St on Saturday 5 December for a discounted shopping experience with drinks, nibbles and Marimekko surprises.